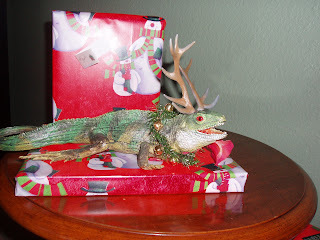 Iggy the Reinguana restored to his traditional Christmas Glory. Where Does This Guy Shop? Does Gavin Grant Know About This?